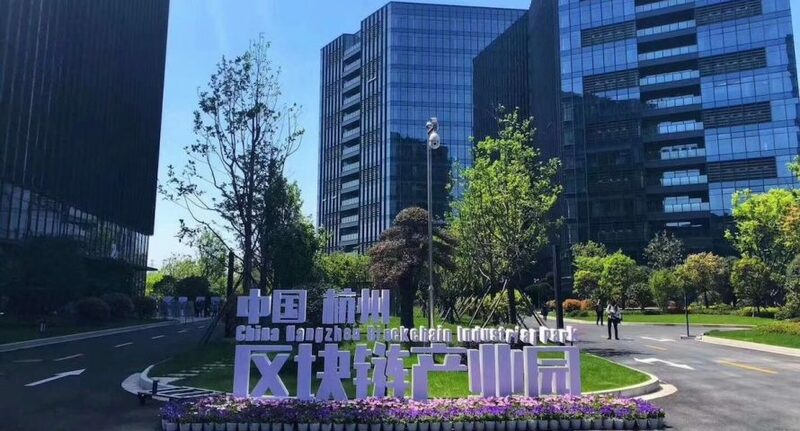 On April 9th, 2018, during the inauguration of China’s Hangzhou Blockchain Industrial Park, a $1.6 billion USD innovation fund was presented by the Xiongan Global Blockchain Innovation Fund, to provide a financial push to promising Chinese blockchain startups. Over the past few months, the Chinese government has shuttered several cryptocurrency-related activities such as initial coin offerings (ICOs), which have given added to its image of a crypto-hostile country (at least at the regulatory level). However, the country for a while now has taken a position that’s more open to non-financial blockchain technologies. The Chinese government has said it’s pro-blockchain since about 2016, with regional authorities adding their approval. The Yuhang district government is shelling out 30 percent of the $1.6 billion, amounting to about $480 million, to encourage entrepreneurs to introduce innovative projects. Globally, that now makes it one of the biggest direct investments by a government into the crypto sector. The Hangzhou Blockchain Industrial Park will act as a startup incubator, where distributed ledger technology startups from around the world avail funds for the project. The industrial park is located in Hangzhou city — an emerging technology hub where the world’s largest online B2B portal Alibaba Group is headquartered. The inauguration of the industrial park led to the commencement of the Zhejiang Xiongan Blockchain Strategic Development Research Institute, which will be backed endowed by Xiongan Global Blockchain Innovation Fund — a joint fund that comprises Yuhang district government, the Future Science and Technology City Administrative Committee, and the Hangzhou based venture capital firm Yanqi Investment Management Company. The Yanqi investment Management company is a joint venture of Handan Investment and INBlockchain. The INBlockchain portfolio includes projects such as EOS, Qtum, Zcash, and SIA. The Xiongan Global Blockchain Innovation Fund will be managed by the two partners at INBlockchain — Li Xiaolai and Lao Mao. Lao Mao is a proponent distributed ledger technology, whereas Li Xiaolai is a Bitcoin believer and big-time investor. Recently, authorities piloted the Hangzhou Blockchain Technology Research Institute, and launched the Blockchain Registry Open Platform (BROP), a platform for supply chain tracking. The area of Hangzhou now seems to be the blockchain center of China. Now, the addition of Hangzhou Blockchain Industrial Park, Zhejiang Xiongan Blockchain Strategic Development Research Institute, and the Xiongan Global Blockchain Innovation Fund, jointly will lead China to the forefront of the blockchain revolution. Or at least, that’s the plan. Can China be the blockchain leader of the world? Let us know your views in the comments section.